Come explore nature as it changes from one season to the next. On a short walk to the Wildlife Teaching Garden students will look for clues to how creatures great and small prepare for seasonal changes. We will examine the Tracking Pit for animal tracks and visit the Bird Blind to observe visiting birds. Curriculum Links: Science & Technology Life Systems – Needs & Characteristics of Living Things; Growth & Changes in Animals; Habitats and Communities. Offered Year Round. Investigate the differences between meadows and forests. Examine the interdependency of plants and animals within these habitats and explore the relationships between predator and prey, producers, consumers and decomposers in each of these unique habitats. Curriculum Links: Science & Technology Life Systems – Habitats and Communities, Offered Year Round. This is an opportunity for students to explore first-hand the techniques of observation, identification and classification of insects, spiders and other small creatures found in the fields and forests of the Dundas Valley. 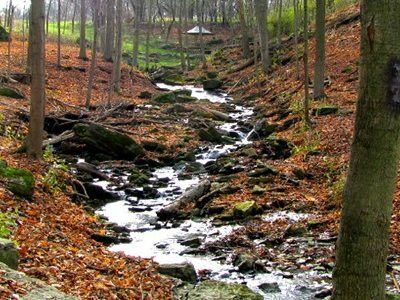 This program investigates the unique habitats of the Dundas Valley Conservation Area including, forests and meadows. Students will explore ways in which animals respond and adapt to their environment. Curriculum Links: Science & Technology Life Systems – Needs & Characteristics of Living Things; Growth & Changes in Animals Habitats and Communities, Offered Year Round. Discover what makes these birds such fascinating and effective predators! Following an introduction about the behaviours and characteristics of these birds, we will explore the Dundas Valley in search of these birds of prey. Curriculum Links: Science & Technology Life Systems – Habitats and Communities, Offered Year Round. water and shelter that are necessary for their survival. Plants are amazing. They can live almost anywhere and they come in all different shapes, sizes and colours! On a guided walk, students will look at the characteristics and adaptations of plants found in the fields and forests of the Dundas Valley. The Dundas Valley has a rich geological past. Come and discover how glaciers were responsible for shaping the valley. Find out about the “Giant’s Rib”! Students will have an opportunity to investigate our rock collection to find out more about the characteristics of rocks and fossils. The Nature Walk is a great activity for students of all ages. This seasonally themed walk focuses on the natural history of our local plants and animals. We will incorporate a variety of interactive games and challenges along the way. A series of age appropriate games and activities highlighting a variety of ecological concepts including food chains and animal adaptations. Activities will include a combination of running games, blindfold activities and quiet stalking games.